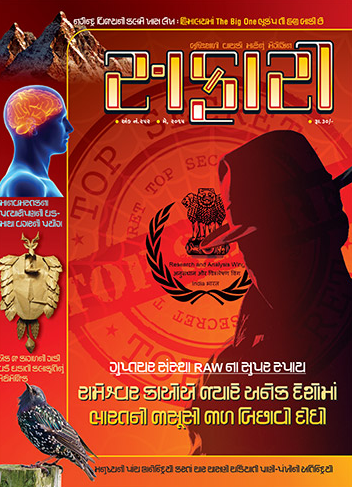 The May 2015 issue of Safari – a knowledge magazine from India – Gujarati edition (it’s English edition is stopped publishing) is out quite on time and here are our personal views about the same. The cheerful colors used on the cover page makes it attractive. The cover page is capable enough to attract thriller lovers. We often mentioned that Editorial is always an important part of any media publication. In addition to establish a link between the reader and the editor. It gives the editor a chance to convey his feelings, thoughts, vision and reasons for the content of the media. In addition it also allows editor to represent his thoughts on various happenings which may or may not be included in the media. The editorial of this issue is a good read. The best segment of the magazine is a very detailed article about Shri Rameshwar Nath Kao. The name – R N Kao – is not unknown for those who are used to reading Safari magazine regularly OR those who are really interested in reading general knowledge stuff. 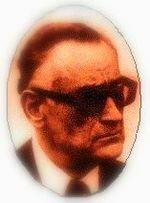 R N Kao is (was) the founding father of R&AW (RAW – the Research and Analysis Wing) – the Indian Intelligence Agency. The article is in-depth and in addition give a brief biography of Late R N Kao, it explores the circumstances and situations in which R&AW was founded, nicely. It is worth to note that Mr. Kao was praised by some of the world’s reputed Intelligence officers for his skills. He played a major role in, before and after various wars India fought, in and outside of India. Other important article in the issue is about the Earthquake Tragedy happened recently in the Himalayan neighbourhood which affected Nepal the most. The article is actually answer to a question by several curious readers. In addition to provide general knowledge about this mishap, the article also explains various type of Earthquakes. The article adds some information and quotes by the fellows of Wadia Institute of Himalayan Geology. The article also explores the fact that we are ignorant to the warnings given by the scholars and we avoid following the construction rules which are intended to be strictly followed in “quake-prone zones”. The rules are meant to have the less damage in case of quake, and they must be strictly followed. The article is enriched with illustrations and photographs. Remember the saying “precautions are better than cure“. If we develop awareness about such geological stuff and take the necessary actions accordingly, we can avoid a lot of damage (in terms of human lives and wealth both) caused by such calamities. If you are interested in Zoology, the article about various super-senses of animals and birds (written by B M Purohit) is a good read for you. How much do you know about Head Transplant? There is a detailed article about the experiments of it. The article is written by Harshal Pushkarna in nice manner. Some photographs in the article will make you feel disgusting about the experiments as well. You may or may not like this informative article. 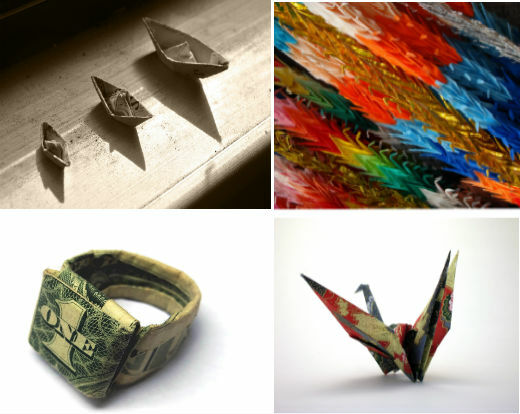 There are various arts like Origami which we might not be well aware of. It is an art of making various shapes by just “paper folding”! Yes, without using glue or other aid! It is associated with the Japanese culture. The article is very detailed and have illustrations to guide you to start with (and understand it). It is definitely one of the art which can be tried and mastered during the summer vacation days! As you can do it in your home and you don’t need more stuff. Some waste papers are good to start with! We recommend this article to kids (and their parents too… 🙂 ). The article about the Narrow Gauge Heritage Train of Gwalior is interesting too. It is worth to note that the article have some historical photos embedded. You will get mix feelings by knowing that people in some remote area still have to use some adventurous way to reach to their destination. Why do the mosquitoes bite in the night only? What about their blood groups? How came the word “Night Watchman” to existence in the game of Cricket? Why some countries (with extreme cold conditions) use salt to melt the ice? Is it true that several American presidential candidates become presidents despite of the fact that they didn’t get majority in election? How much amount of CO2 is consumed and O2 is provided by all the plant and trees? How is it possible for the water to destroy the pipeline when it is converted to ice due to frozen temperature? Who choses the recipients of Bharat Ratna? How giraffe’s breathing system works? Who choses the photos to be printed on the currency notes in India? What is the hottest place on the Earth? How the Flu medicines work? Why some trucks have small chains hanged in front ? Are the recently spread rumours about “some messages by ET are received by the telescope” true? The article about R. N. Kao alone is worth the magazine price, you can consider rest as the bonus read 🙂 The detailed article about Nepal Earthquake and other quake-prone zones (especially in Himalayan neighborhood) is on-time and in-depth as well. Overall a magazine which is balanced in content and gives you value for your money. You should not miss it.